**Product received as part of the Dayspring Bible Journaling Launch Team. Post contains affiliate links. All thoughts are 100% my own. 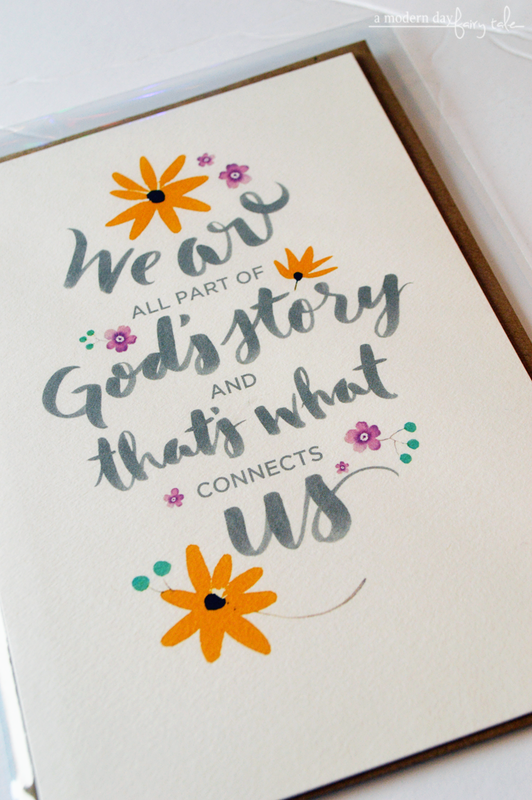 Dayspring has started their very own Bible Journaling Monthly Devotional Kits! Exciting, right? While many have enjoyed the kits of the past, change can be a great thing and I think this is one such change! But I know the question we ALL have on our minds: what can we expect from these new kits? Pretty much everything! But let's start with the most obvious: the style. In previous kits, bold and bright seemed to be the norm. Now, I love those bright colors myself but I would often hear from others that they weren't quite their personal taste. They wanted something a little calmer...more subdued. This kit is the perfect answer to that. I love the combination of the mossy green and various shades of purple seen in this kit. It's elegant, it's cute, but it's lighter, not as in your face. Gorgeous. 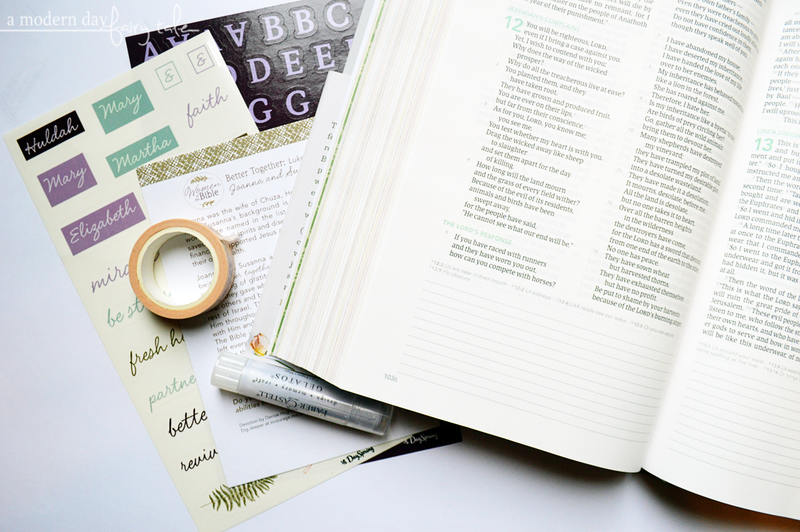 This new look really opens up a world of options for a different group of Bible journalers who wanted that convenience of a monthly kit, but weren't in love with the previous style or those who just like playing with new looks in their journaling too! What else is new? Of course, the supplies. Despite the different style, many of the contents will feel very familiar in this kit. 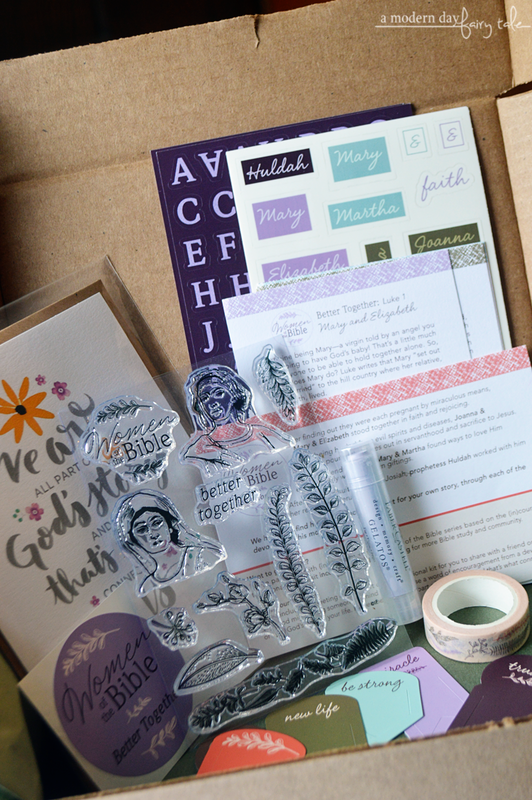 We still have washi, stickers (alpha and clear), a stamp set, title sticker and devotionals just as we had previously. Likewise, the packaging will remain very similar to what we've seen in the past. There are however some great new additions that make this kit pretty amazing. First up, the greeting card. 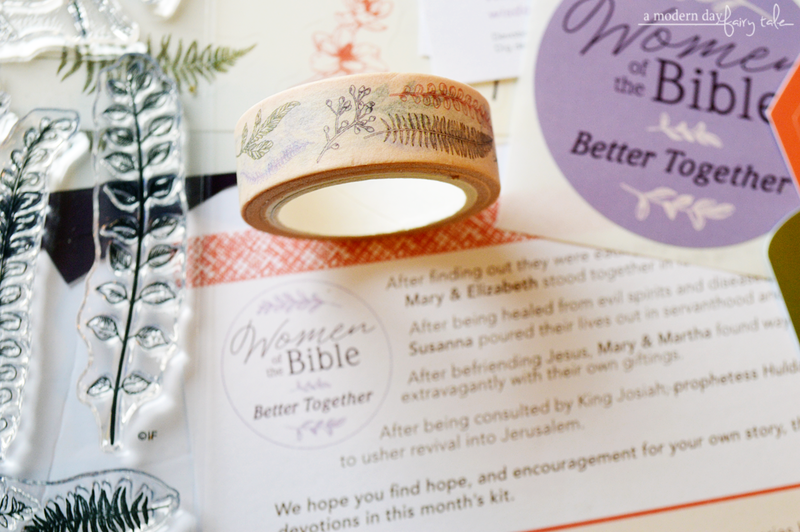 The theme of this kit is Women of the Bible: Better Together. As the name suggests really dives into how we as women- just as those women we will study in the coming weeks- can offer each other support and friendship, becoming stronger women and Christians due to these relationships. In its celebration of relationships, this card is an ideal addition. Dayspring cards are perfect to pass along to friends who may need encouragement or just to let them know we are thinking of them. My absolute favorite addition to the Dayspring kits though has to be the Gelatos! 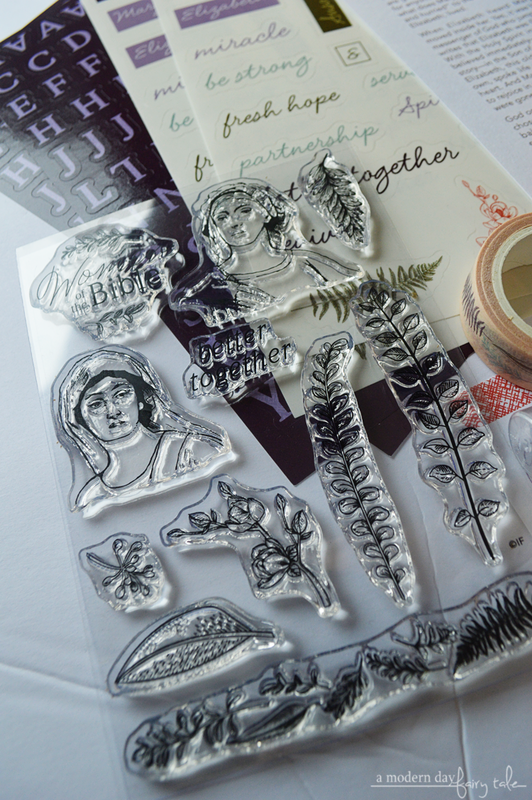 This is such a great tool in Bible journaling--- from backgrounds to stamping, they are a great way to bring something extra special to the page. For those newer to journaling, it not only gives them a coordinating art supply, but allows them the chance to experiment with a new medium. Hands down, an amazing addition! (Stay tuned for a how-to on how to use your new Gelatos). As great as this all sounds, we all know that the true heart of these kits are the devotions, right? And these devotions are absolutely fantastic. 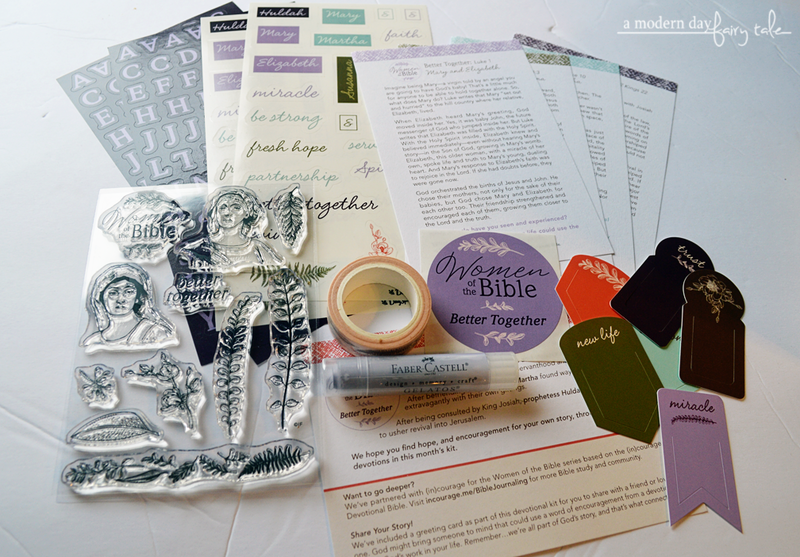 As mentioned earlier, the theme of this kit is Women of the Bible: Better Together. This is the first of three Women of the Bible kits to release over the next few months with devotions from the (in)courage Bible! I've talked about my love of both (in)courage and the (in)courage Bible in the past, so I was very excited to have a kit that coordinates so perfectly. If you have the (in)courage Bible, you can do your journaling right in there with it's unique bottom margin journaling space. Don't have it? No problem. 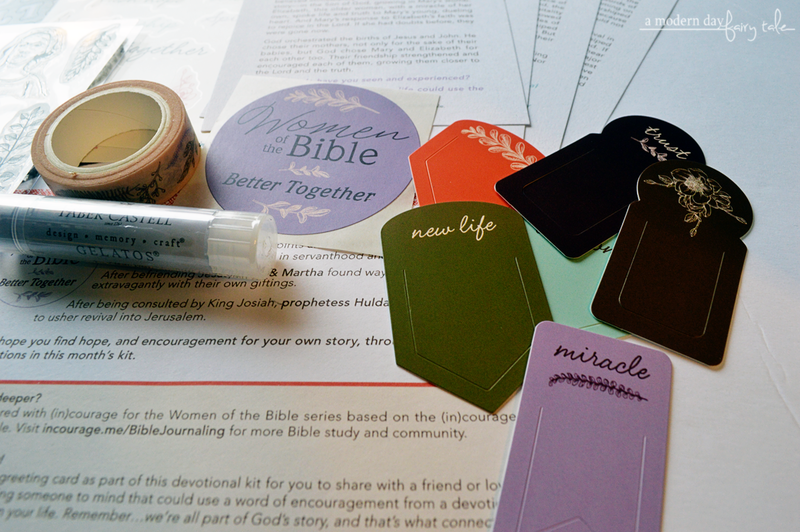 While they do coordinated beautifully, you can enjoy this devotional kit no matter what Bible or journal you are using! Find out more about the (in)courage Bible here. Ready to dig deeper into the lives of the Women of the Bible, and learn how their stories apply to your life? I would love for you to join me in journaling through this kit over the next month. Women of the Bible: Better Together is available to purchase NOW at Dayspring. Follow along with me here on the blog and on Instagram as I journal through this kit and share tips and tricks throughout.